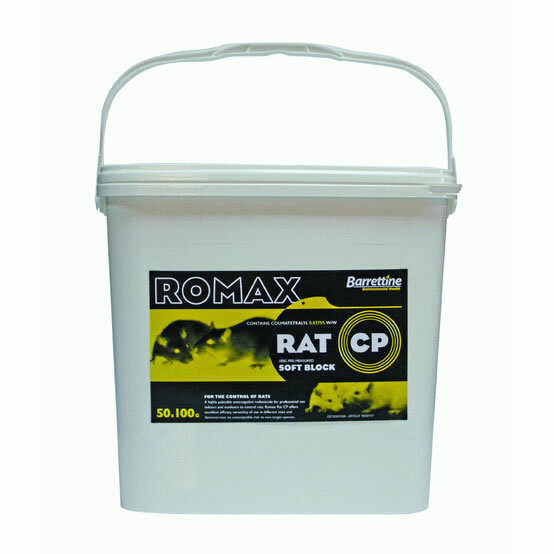 PestFix holds stock of professional rodenticides from Romax, Deadline, Lodi and Bell Laboratories. All lines are available for delivery next working day, subject to prior registration with PestFix as a professional user in accordance with CRRU regime codes of practice. To register you will be required to prove your professional status and competancy by filing copies of any approved training and qualifications relating to professional rodenticide application. To register please call our sales team on 01903 538 488 . Our professional rodenticide range includes the latest available rodenticide formulations; Black Pearl, Romax Rat CP, Racumin and Romax Venom and Sapphire.